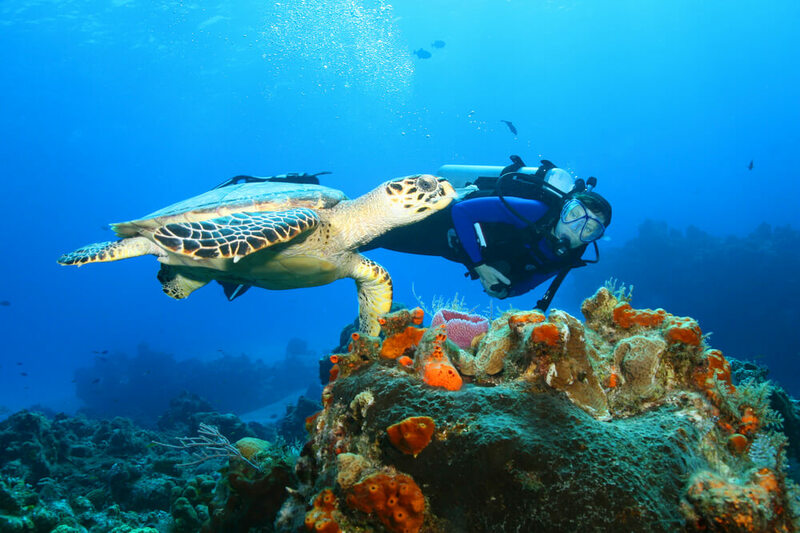 COZUMEL — The Fifth Annual Cozumel Scuba Festival will take place June 20-25, Dive Magzine reports. Leading figures from the diving world including oceanographers, explorers, photographers and conservationists will gather in Cozumel for this celebration including special dive trips, lectures and presentations, a dive show and other events. Daily morning dives and one night dive will explore the late Jacques Cousteau’s favourite dive sites of the island, and those of his son John-Michel Cousteau, who has designed routes especially for the ScubaFest covering nine different reef sites. For decades, members of the Cousteau family have been avid devotees of the Island’s magnificent dive sites, which form part of the Mesoamerican Barrier Reef System, the second-largest coral reef system in the world. The keynote presentation will be from Dr Sylvia Earle and is entitled ‘Protection of the Oceans and Diving in Mexico’. Just offshore is the MUSUBO, Museo Subacuático del Buzo de Oro (Underwater Museum of the Golden Diver). Here, Dr Earle will revisit the bronze bust sculpture representation of her that was unvieled during the last ScubaFest. Other bronze busts of Ramon Bravo and of Jacques Cousteau were also permanently placed here during ceremonies at previous ScubaFests. Also in the MUSUBO is an abstract sculpture entitled Zoe created by Colleen Flanigan. This six-foot matrix is electrified with low-volt DC current that generates and accelerates growth of a coral reef. It becomes a ‘living ecosystem work of art’. Colleen will present a ScubaFest lecture with the title ‘Living Sea Sculpture, a Story of Coral Regeneration’. Yet another highlight among the scheduled presentations is ‘How We´re growing Baby Corals to Rebuilt Reefs’ by Curaçao-based marine biologist Kristen Marhaver. An annual highpoint, The Gala Awards Dinner celebrates recognitions of ‘The Golden Diver’ (El Buzo de Oro) honouringg men and women devoted to preserving the beauty and health of coral reefs and undersea life the world over, and whose myriad projects provide a legacy for future generations. Celebrated recipients of the 2017 Golden Diver awards will include: Francisco Pizarro, founder of the International Underwater Film Festival of San Sebastian, Spain; Mauricio Hoyos from La Paz, shark expert and devotee (he will present a talk on white sharks); Roberto Marx, pioneer of diving in Cozumel; Francisco Uribe accomplished diver from Veracruz and Germán Yáñez, cave diver who will also present a talk. To find out more go to www.cozumelfest.com or e-mail info@cozumelfest.com.